Thinking of a get-a-way; then you have found the place; The Palace Resort. This is a sun fun one bedroom with a fabulous view of the blue Atlantic. This suite has a full kitchen; living and bedroom areas boasts flat screen TV's for your enjoyment and wireless internet. Two queen size sofa beds in this suite have been added for your comfort. The Palace Resort is full of amenities such as wireless internet, in/outdoor pool, lounge, sauna, putting green, laundry area and more. 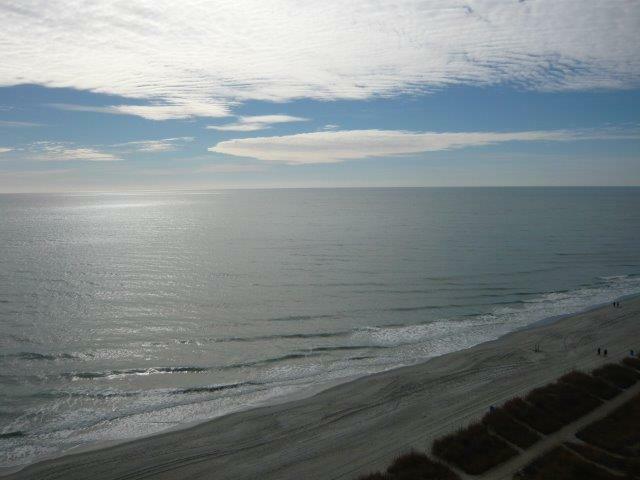 This resort is located in the heart of Myrtle Beach with so much to do, the possibilities are endless. You can visit the Market Commons or Broadway at the Beach with numerous restaurants to choose from, or you can miniature putt-putt, shop, golf, or enjoy one of the many attractions Myrtle Beach has to offer. You are going to love this up to date suite that is affordable and in a fabulous location, not to mention close to all your needs and wants. 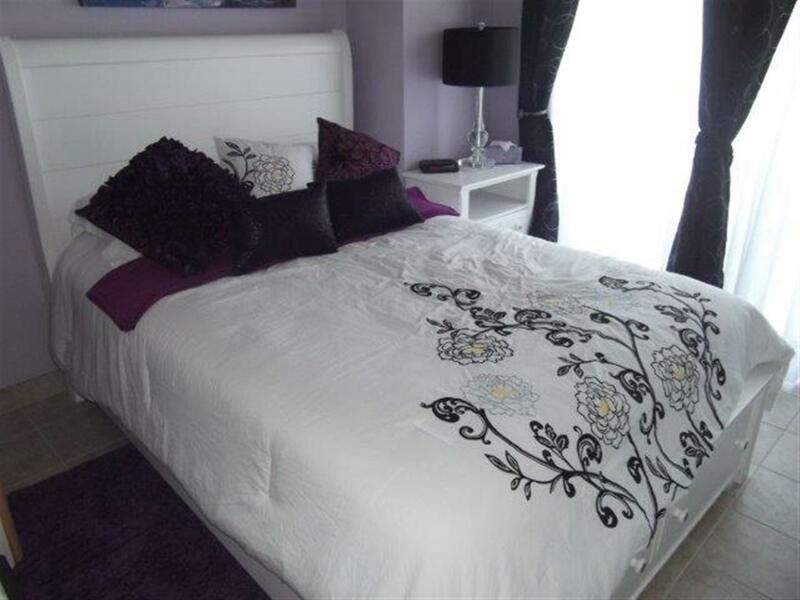 This one bedroom suite boasts comfort, affordability yet style. "It was a wonderful vacation"
"The VRBO at Myrtle Beach was exactly what we needed, we had a penthouse suite and could see everything at night and during the day. We were mainly outside with the weather being so wonderful. Loved the stay. " "The vacation rental was AMAZING! The space was great for the 4 of us. The location was perfect, right in the heart of everything." "We got there a few hours early , and the front desk let us put our luggage in the back office so we could go explore. The Lobby smelled very nice and was clean. Grounds are beautiful and clean. Security presence obvious. Unit was clean and had everything we needed to eat and sleep comfortable. Ceiling fans in bedroom and living roon need cleaning. And under the bed needs a swiffer run. But that was all I noticed housekeeping wise.Beautiful view off of 23rd floor balcony, and you can see planes coming in over the ocean and landing at the airport. We loved our stay here, and want to stay here again! Great value for the $$ we paid!!" "This vacation rental was very nice and cozy.I loved almost everything about it minus the bed matress.The bed in the bedroom could use a better matress it feels like you're sleeping on a pallet.But overall no complaints I would stay there again." "The view was spectacular. Condo was very clean, nicely decorated and had everything we needed. Enjoyed our stay, thank you!" "Enjoyed our stay at the Palace Resort #2311. This unit was an awesome location being on the top floor and having AWESOME views of the shoreline and watching the beautiful sunsets from our balcony and from inside through the big picture windows in the living room. My husband and I were the only ones in the unit so there was plenty of room for the two of us in fact there was probably a little too much furniture crowded together in the living room but otherwise the unit was perfect for the two of us and nicely decorated. The only thing that was a little different from the pictures on the rental page was not having the table and chairs at the window to sit and eat while looking at the view instead a sofa was in front of the windows and I would have rather had the table and chairs there. Although we had beautiful weather most of the time and were able to sit out on the balcony and have our meals there anyway... just a suggestion for the next time. But as for the entire unit and our stay...we LOVED IT! GREAT view and GREAT price for the 14 night stay! 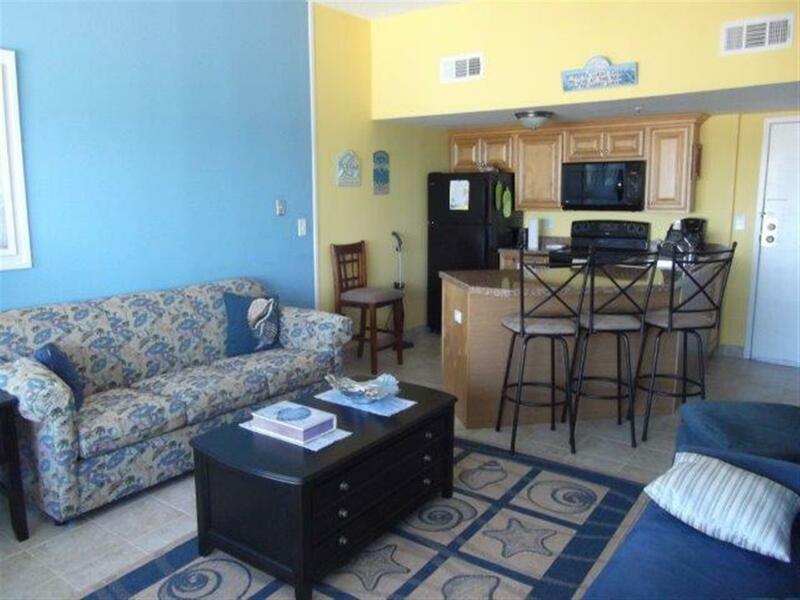 We would definitely like to rent the unit again on our next vacation to Myrtle Beach next year. Thank you for a great stay! " "Our room was clean and well maintained. Everything do functional and very tidy. Beautiful view and nice layout. Very well stocked with cooking supplies. " 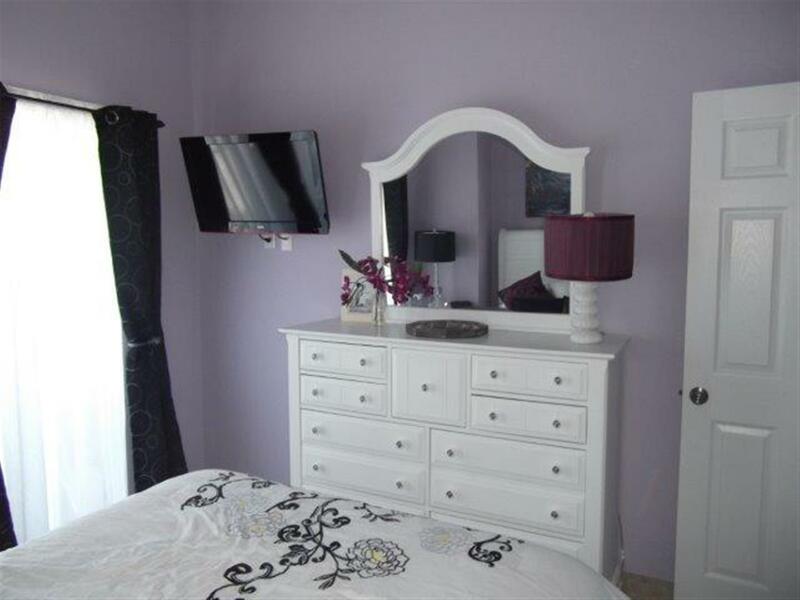 "This condo was very nicely decorated and the view was amazing. Would stay there again if it weren't for the inconvenient location of the rental office and the inconvenience of having to go there both before and after the stay. It took about 45 out of our day to go get the keys and it was out of our way when leaving so that added on to our trip home. Next year we will seek out a condo that is privately operated and that has keyless entry so we can avoid the wasted time and the stress." 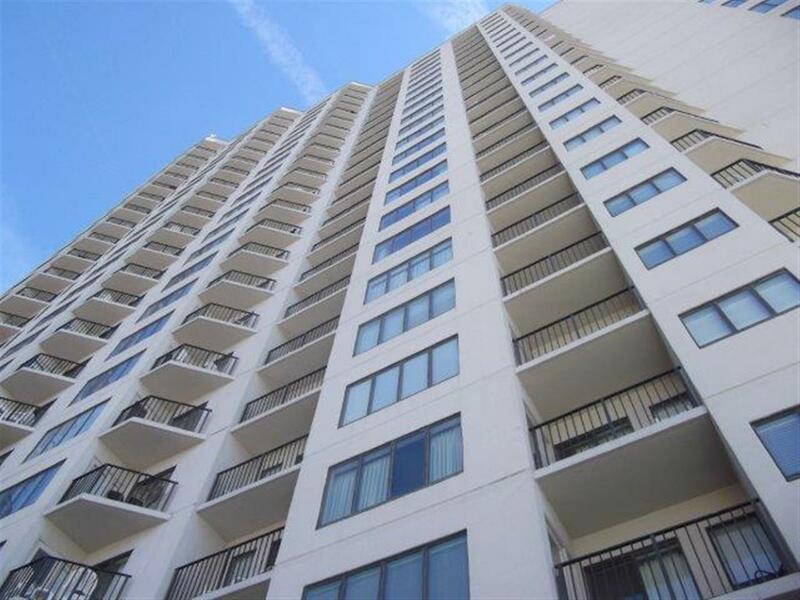 "Condo was clean and had plenty of towels and sheets. 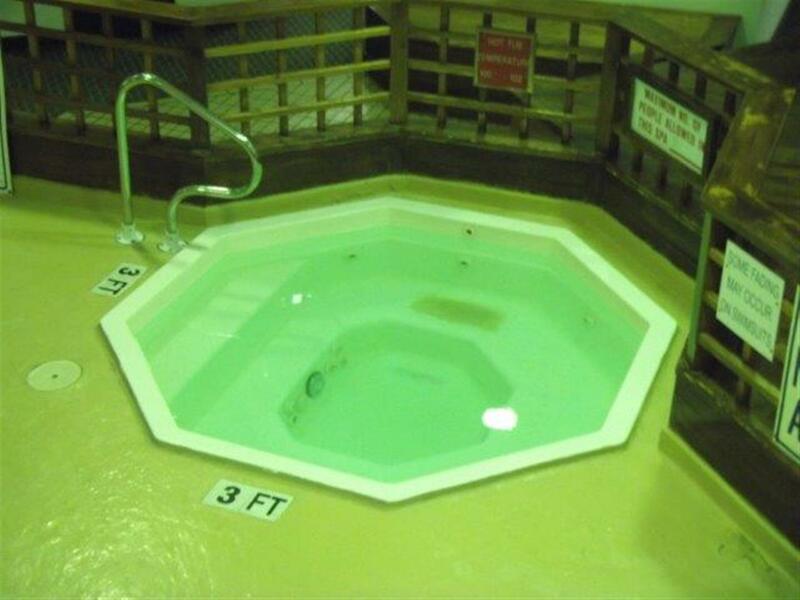 The building is a little run down, but has good amenities, including 2 pools and 3 outdoor hot tubs. Very close to the beach. " 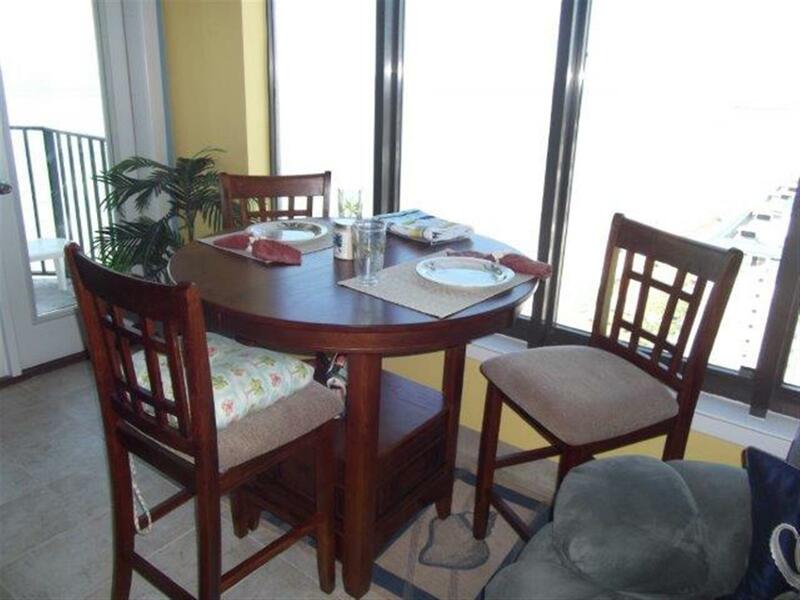 "The condo is decorated very nicely with bright beach colors, good furniture, excellent placement of TVs, nice kitchen. The view is a side oceanfront view, quite lovely. This condo is on the top floor (23), so you are wayyyy up. When we arrived, the unit had not been cleaned. It turned out to be an error - the cleaning staff hadn't been notified that it would be turned over. Once they were notified, they came immediately. The rental company did remove the cleaning charge at my request. There is no keyless entry, so you had to bring two large keys with you to the beach. After hitting the beach for a swim, we returned to the unit only to have the key snap off in the lock, leaving us stuck outside wearing nothing but wet swimsuits, a coverup, and flip-flops. The front desk allowed us to use the phone, and we called the rental company, who immediately sent help. Another kudos to the rental company. But now to the really big problem - NOISE. Although you are oceanfront and would love to hear the soothing sound of the waves all night, you cannot due to the building A/C unit. Not the unit itself, but the overall building - the building is pretty old, and it runs 24x7. It is SO LOUD - it sounds like someone is vaccuuming loudly right outside your bedroom door. It drove us nuts. We had to turn the TV way up to hear it, and I barely slept the first night, better the second night after earplugs. So to summarize, the rental company was very responsive and polite. The building is pretty old, but maintained. There are constant waits for elevators, especially around checkin/checkout times. The unit was cute. The building's A/C noise was TERRIBLE if you are at all sensitive to noise. " 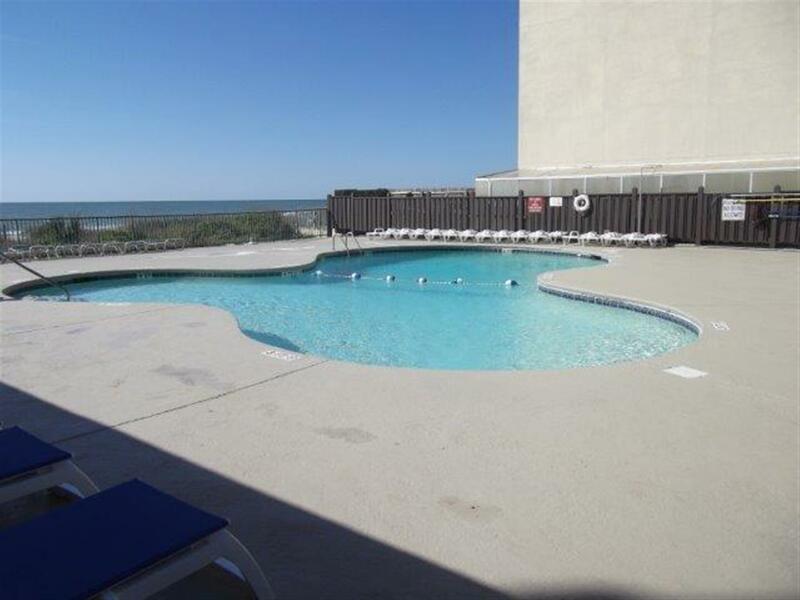 "We had a wonderful experience with Myrtle Beach Vacation Rentals. They were super friendly and very helpful. Our room was beautiful with an amazing view. The resort, itself, was lacking. The staff wasn't very friendly at all. Not just with us, but it seemed to be in general. I heard several remarks by other guests about how rude the front desk staff seemed to be. The elevators were pretty dirty and stuffy, too. When you are on the 23rd floor, you spend a good amount of time in them. Over all, we had a great experience, and would rent through the rental agency again. " "Even though it was rainy most of the weekend, we had a great time. The view was awesome from the 23rd floor of the Palace Resort. Very relaxing and peaceful!" 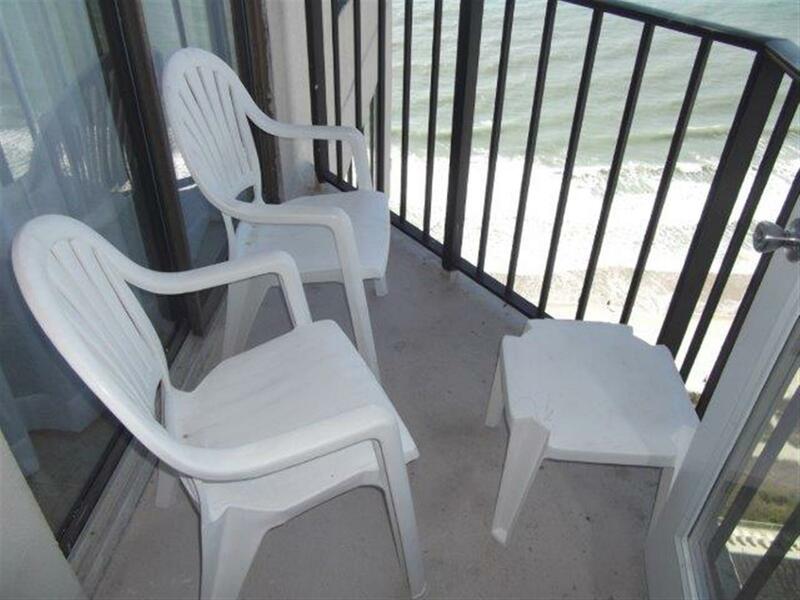 "Great location and one of the best views at the beach. Centrally located in the middle of Myrtle Beach. Bedroom separate from the rest of the suite. Both have great views of the beach. Large modern kitchen. Partially updated bathroom. Shower and tub can stand to be updated. Suite was not as clean as we would have liked. Vacuum cleaner in the unit not suitable for cleaning sand off any surfaces. Several small incidental repairs needed to make the place perfect. Suite beautifully decorated. Kitchen and bathroom fully supplied with towels, linens, and utensils. Bedroom pillows should be cleaned or replaced. Bedroom sliding door doesn't seal well. Here a fair amount of wind noise during bad weather. Replacement needed. Main roof air conditioning for the building makes excessive noise. We got use to it. The building was built in 1985. I'm sure there are mechanical updating repairs needed. The suite is not perfect but, all in all you can't beat the view, room size, and location for the price. I believe its the best value in Myrtle Beach. I would recommend anybody to rent and stay here. I would like to stay here again next time we vacation in Myrtle Beach." "My family and I had a great vacation. There were a few things that weren't up to par but that didn't stop us from having a great time. The staff was a pleasure to deal with. We've stayed at the palace the past 4 years and this year was the best by far! We will be coming back again year after year!" 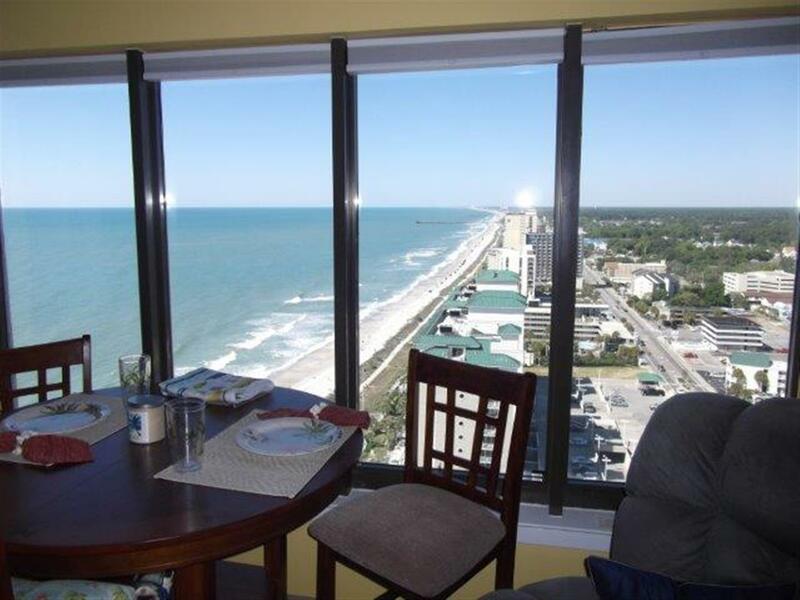 "The view was fantastic, the unit was beautifully decorated, great location on the beach! The place was very clean, equipped with all amenities and everything u may need including plenty of towels and linen. The property management staff was great...easy check in/out procedures. Secured parking. 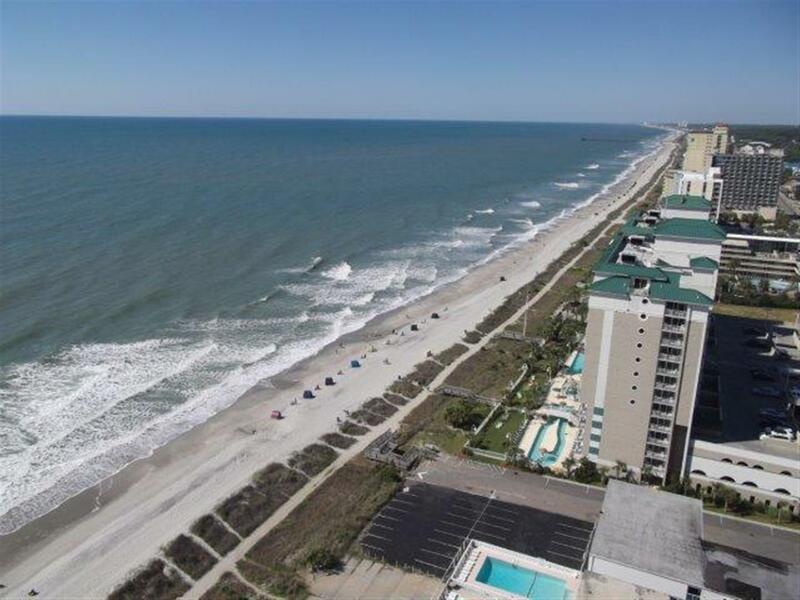 Would highly recommend this property and would love to stay here again if I visit Myrtle beach." "We rented this place with another couple. It was enough space to be comfortable. The view is amazing. The staff in the building are super nice. The only problem we had, the previous renters left coffee in the filter of the coffee maker. It was nasty. And some of the sheets from the company should be thrown away because there were some stains. Overall, we loved this condo. Would definitely stay here again. " "The building itself is older but I can't say anything bad about the condo. I had a very nice relaxing stay. The staff at mb rentals was helpful with check in and out. The staff at the building wasnt as helpful because we didnt book through them. Only suggestion I would make is leave more garbage bags in the condo for trash as the building will not give you any. "